Starting in mid-September, the access ramp to Highway 20 West, toward the West Island and Trudeau airport, from Highway 15 North, coming from the Champlain Bridge, will be closed for two months. The detour will mean doing a U-turn on Côte-St.-Luc Road. Access to Highway 20 W from Highway 15 N blocked as of mid-September, detour means U-turn on Côte-St.-Luc Rd. At this point, is there a motorist in Montreal who is surprised by an announcement of another major road closure? Starting in mid-September, the access ramp to Highway 20 West, toward the West Island and Trudeau airport, from Highway 15 North, coming from the Champlain Bridge, will be closed for two months. 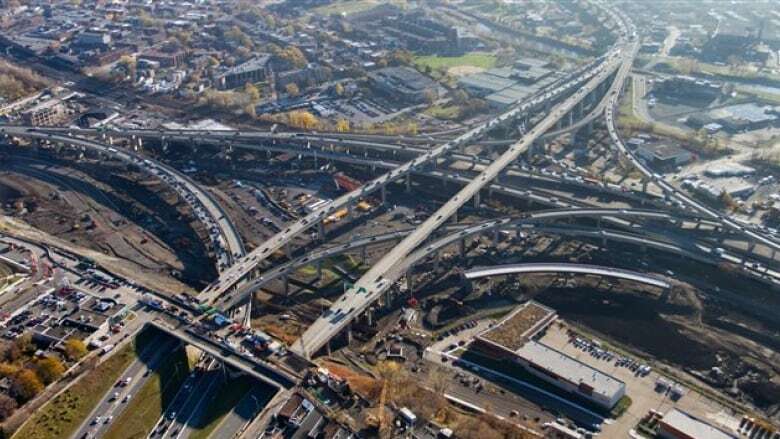 The detour consists of continuing on the 15 North to the Décarie Expressway, taking the Côte-St-Luc Road exit and looping around onto Highway 15 South, then taking the 20 West exit from there. The alternative detour means going through the city, via St-Patrick Street, Monk Boulevard and Notre-Dame Street West. Transports Québec spokesperson Sarah Bensadoun said there is no set date yet for the closure, but it will be publicized once the plans are final. "We know that this will be challenging, but we have some mitigation measures that will be put in place," she said. Those plans include the synchronization of traffic lights on St-Patrick or Côte-St-Luc and police officers directing traffic. The ramp will be dismantled, and a new structure will go up in its place. It's the biggest and most important of all the upcoming road closures, she said. This closure is one in a long list of traffic hindrances in and around the Turcot Interchange as it is revamped. The project is expected to cost $3.67 billion by the time it's completed in 2020.